Longtime St. Helens High School band director Noelle Freshner was recently selected as one of School Bands and Orchestra Magazine's "50 Directors Who Make a Difference," a recognition her peers and students alike are celebrating. 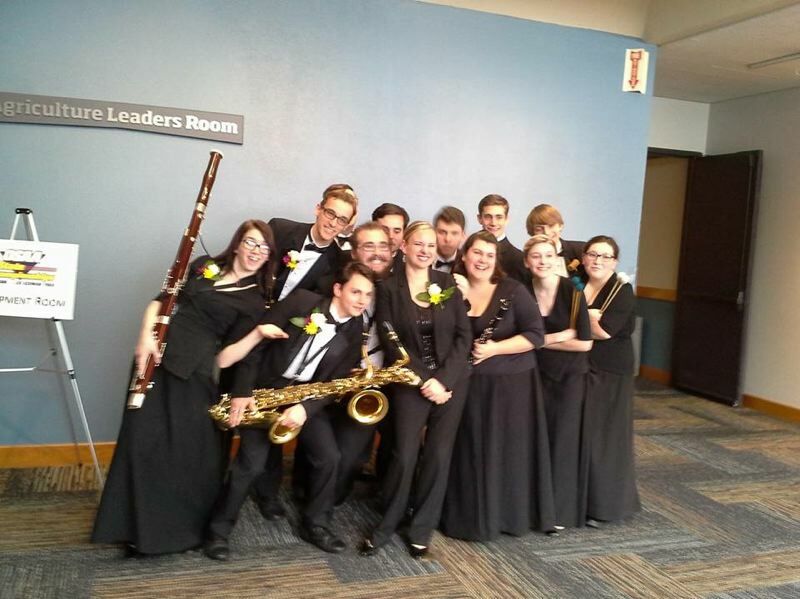 The magazine, which provides news and feature stories for a music educator readership, selects honorees for the award annually and is celebrating its 21st class this year. The magazine accepts hundreds of nominations from around the country and highlights the work of band directors who are recognized by their peers, students and other musicians for their contributions to music education. Freshner said she was humbled to be selected as the representative for Oregon this year. "It's a huge honor. I'm really humbled by it. It's nothing I ever expected. It's really hard to describe," Freshner said. Freshner said she doesn't know who nominated her, but was told several people had put her up for the recognition. Freshener said she was completely surprised when she found out she had been chosen. "You always hope that what you're doing is something that means something to other people," Freshner said of receiving the award. "It's just cool." Choir teacher Eric Stearns, who has been at the St. Helens High School for three years, works closely with Freshner and said the recognition is well-deserved. "I'm so excited for her. This is a well-deserved honor," Stearns said. "She stands out as one of the most professional, most prepared directors in the Pacific Northwest." Students and parents who know Freshner speak highly of her musical knowledge, as well as her kindness and ability to connect with students and make a difference in their lives. Alana Saul, a high school junior in the St. Helens color guard and marching band program, said she looks up to Freshner as a role model. Saul also works with Freshner as a teacher's assistant and sees how she interacts with students on a daily basis. "She's a phenomenal person and a wonderful director," Saul said. "You can tell how much the kids she works with appreciate her and how much they learn from her and how dedicated she is." Saul added that Freshner is someone with whom many students trust, feel safe and feel welcomed. Saul said she is proud and excited for Freshner to be recognized in such a public way. "I think it's amazing. I feel like she's getting finally what she deserves," Saul said. "Every student who is taught by her knows how amazing she is and we try show her that as much as we can, and it's amazing to see that people that are not in the band program get to recognize that too." Freshner, who is starting her 12th year teaching band in the St. Helens School District, has also recently taken on another role as the activities and leadership director for thehigh school. 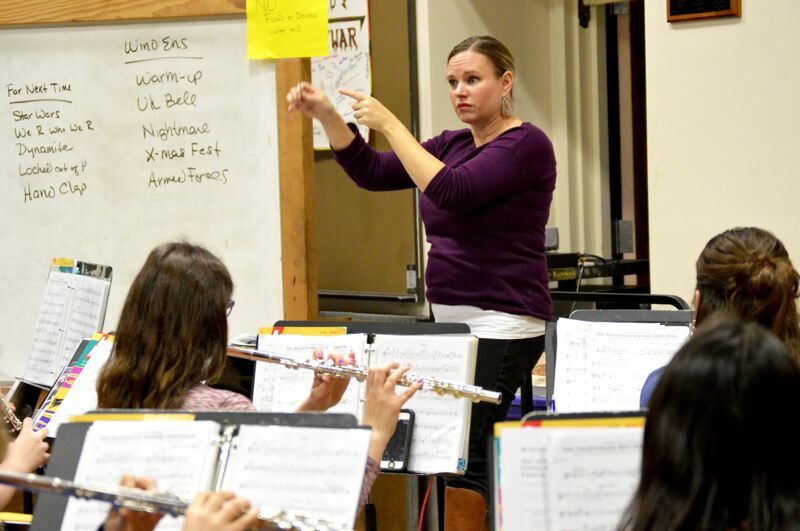 For the first time in her tenure with the district, a long-term substitute teacher has taken on the role of teaching middle school band classes, allowing her to focus her efforts on beginning band students and the high school programs. For the past 11 years, Freshner was constantly bouncing between the two school buildings and juggling hundreds of students in the band program of all age ranges. While the opportunity was unique and allowed her to work with students throughout their entire musical career, Freshner said it spread her thin. Being housed in one building this year has also allowed her to connect more with students and families. It's also allowed her to meet students in the school who are not involved in music for the first time, she said. Looking forward, Freshner said she hopes the band program continues to grow and expand. She's also looking forward to connecting with students throughout the school to get them involved in student activities to help them be successful. "Kids who are really active and involved in school do really well in school, so we're trying to find opportunities for every student to have something at the school other than just showing up for classes," Freshner said. Editor's note: This story has been updated to correctly identify the grade Alana Saul is in. The Spotlight regrets the error.